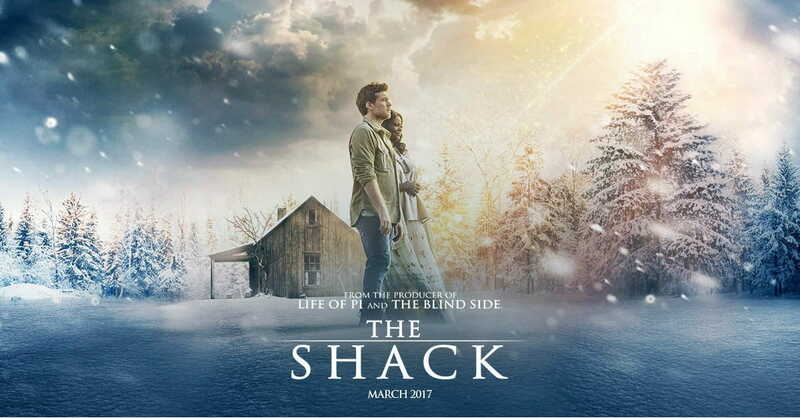 With the release of the movie The Shack, a movie taken from a book written about 6 or so years ago, a lot of Christian people and organizations have been weighing in on their stance either for or against it. So, why not one more. One truth I have come to realize is that everyone is a theologian. Good, because Paul instructed “let every person work out their salvation with fear and trembling.” Honestly, God is still working on me. There have been times that my way of thinking about God and this whole theology thing has been changed. As a for instance, when I went to Lee University, some of my Pentecostal friends helped me to realize the whole aspect of spiritual gifts. Won’t go into all that, this is about The Shack. God is still working on my life, I am still learning and growing. Besides, if I did have all the answers, I would be God, which leads me to The Shack, and maybe what it is trying to express. The main character does not have all the answers, in fact he is struggling with two of the deepest theological issues that people face. One, if God is such a loving God, why does He allow things like what happened to his daughter? Too often we don’t struggle with the problem of evil until something bad happens. I think The Shack gives us the opportunity to talk this out, because bad things are gonna happen in this world. Secondly, he struggles with forgiveness. Forgiving himself and forgiving his enemy, the one who hurt his daughter. Jesus told us to “love our enemies and pray blessings on them”. I hear people say He told us to love them but I don’t have to like them. You don’t really understand love if you believe that. This is a hard thing, and honestly not possible without the Spirit of God at work in our lives. Maybe we could use The Shack as a place to begin that discussion and solve some of our political issues in America? There are some sideline issues that I think some people are allowing themselves to get derailed on. These also could open up discussion if we would not be so quick to judge and immediately alienate people that don’t have the same “theology” as me. I truly regret that some churches have come out and totally disregarded the good things that could come from this movie, to me they have taken themselves out of any civil discussion that could bring help and healing to some that may be struggling with a Father that would allow them to be hurt. Job contended with God. He asked why. So did Paul and I am sure countless others. Maybe you have as well. Let’s give people room to talk and ask, so they can learn and grow. One last comment that I have is on how God presents Himself to our main character. Some have issue with these images. When I read the book, yeah it caught me off guard, then I remembered some of the ladies that I have worked with in our ministry that at first could not stand thinking of God as a man. The image for them actually caused greater pain. And I thought, why do we limit God? If God went to the extreme of becoming flesh and living with us, and went even further to die on the cross for my sins; then why would he not go to appear to someone in a form that would bring comfort to them? Maybe I am wrong, but I believe that God would go through the greatest of pains for my sake and that he would do what ever it took to show me his love. Now that I know his love, I can grow in my knowledge and wisdom. But first, I believe that God meets us where we are. So, why not use this movie to meet people where they are, then lets see how God can grow them into a “correct” theology. ‘Cause I am sure that everyone will eventually believe as I believe, or maybe I will meet some more folks like my Penecostal friends, and I will come see a truth that I missed. Any way keep seeking, God promises you will find if you truly seek.